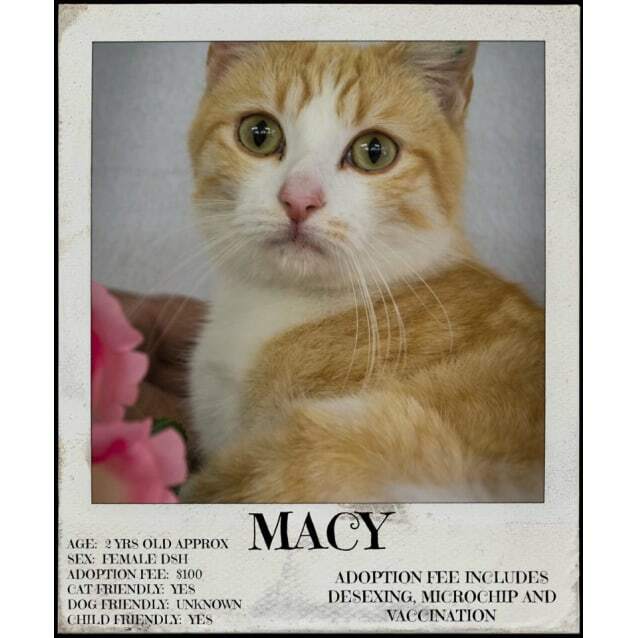 Macy came to Cat Connections with kittens. She gave birth to her kittens in the pound which was a really stressful time for her. But she raised her family and they have found homes, it is now her turn to find her happy ever after home. She is a sweet girl who would just love to follow you everywhere and have a chat. She has alot of love to give, considering what she has been through.